(Natural News) Cinnamon is more than just that thing you sprinkle on toast or on top of a holiday drink. The spice, is typically used in baked goods and pastries, mostly because it smells really good — but its benefits go far beyond its scent. Cinnamon, whether in stick or powder form, comes from the inner bark of evergreen trees that are part of the Cinnamomum genus. According to an article on HuffingtonPost.com, the inner bark is dried, during which it naturally curls up into “quills”, which are then cut into sticks or ground into powder. Sri Lanka, Indonesia, China, Vietnam, and Burma are all top producers of cinnamon. Cinnamon is rich in antioxidants – In particular, they’re loaded with polyphenols, phenolic acid, and flavonoids, which can reduce the damage caused by free radicals and slow down the aging process. The amount of antioxidants in cinnamon may even outweigh those found in popular superfoods such as garlic, oregano, rosemary, and thyme. It has anti-inflammatory effects – The antioxidants also contribute to decreasing inflammation in the body, reducing swelling, and relieving soreness in the muscles. It can promote cardiovascular health – Cinnamon has properties that can stabilize levels of HDL (good cholesterol) while reducing LDL (bad cholesterol). It also prevents blood clots and allows blood to circulate better. This helps lower the risk for stroke and heart disease. It keeps diabetes at bay – Cinnamon does this by improving the body’s sensitivity to insulin, which balances the levels of sugar in the blood. Cinnamon can improve brain function – There is evidence that suggests that cinnamon can protect against debilitating brain disorders such as Parkinson’s and Alzheimer’s, and also protect brain cells from the damage caused by stress. It can help prevent cancer – The spice contains a compound called cinnamaldehyde, which fortifies the body against tumor growth and cell mutation, particularly when it comes to colon cancer. The spice can protect the body from a range of viruses – Some studies have found cinnamon oil to be an efficient remedy for respiratory tract infections caused by fungi. It can also prevent the growth of bacteria such as listeria and salmonella. It promotes dental health – While cinnamon is often found in a lot of sweets and pastries that may negate its dental benefits, it can actually do wonders for the teeth, killing bacteria that causes tooth decay and halitosis. It can regulate levels of candida yeast – The spice has anti-fungal properties that can maintain the amount of candida albicans at a healthy level. The fungus, when overgrown, can cause problems with digestion and the immune system. It can improve your skin – Cinnamon has antibacterial properties which allow it to protect the skin from rashes and allergies. Of course, taking advantage of these health benefits does not mean subsisting on a diet of cinnamon rolls and apple pie. To truly make the most of the health boost that cinnamon can provide, you have to incorporate it into a healthy diet. Sprinkling cinnamon into your coffee and oatmeal is one simple and easy way to do so. Health.com suggested other ways such as using the spice to season grilled fruit, stirring it into nut butter, adding a dash of it in soups or stews, sprinkling it on popcorn, or freezing it in ice cubes and adding it to water. 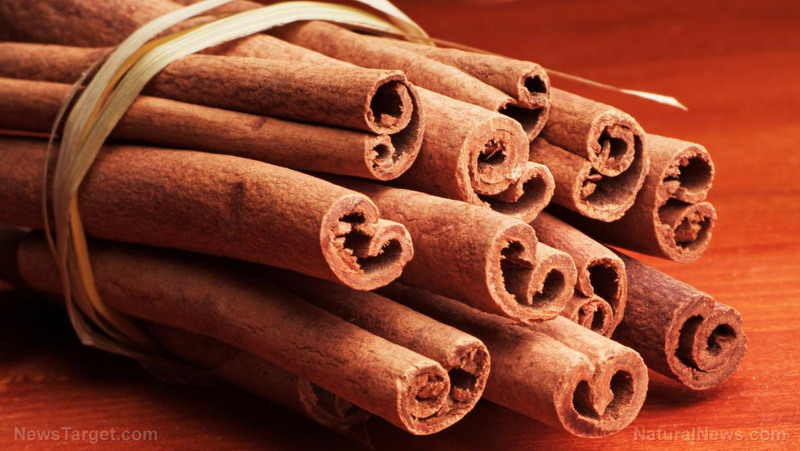 Try these ideas out, and you’ll be enjoying all of cinnamon’s health benefits in no time!